Cut incisions in skin of lamb and place garlic slices and a small sprig of rosemary in each. Marinade: Mix all ingredients together and pour over meat. Cover and marinate in refrigerator for 4 - 6 hours, or overnight if preferred. 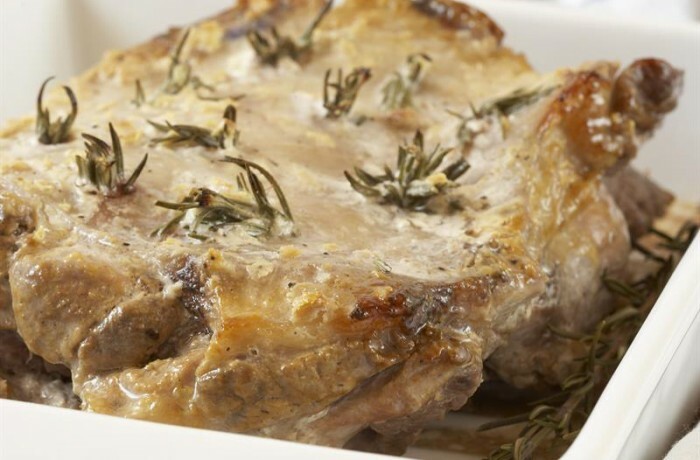 Place lamb in preheated oven at 160 °C for 20 - 25 minutes per 500 g, plus an additional 20 minutes for medium-done. Use sprig rosemary to baste lamb frequently during cooking with marinade. Leave in a warm place for about 10 minutes before carving. Substitute rosemary with any other herbs of choice.